A new organ scholar has been appointed for 2017 -2018. Welcome Jacob Reed! Sunday September 3 will be the last Sunday Mary Pan is with us as organ scholar. It has been a lovely year and we send her forth with all our love and prayers as she moves into a new chapter in her life. Sunday September 10th we welcome Jacob Reed as organ scholar for the 2017 -2018 season. Jacob will work in much the same manner as previous organ scholars. Keep them both in your thoughts and prayers as we make this transition in September. 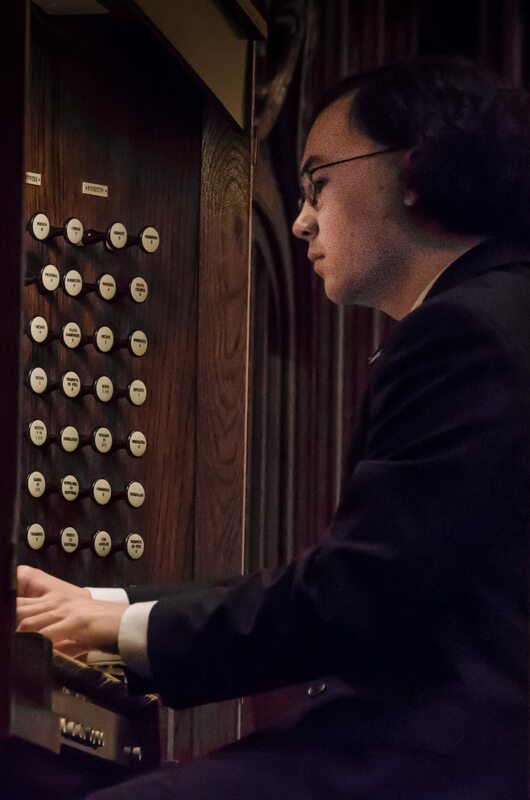 Jacob is a Master’s student at the Yale Institute of Sacred Music, where he studies organ with Martin Jean. Born in Oxford, England, and raised in Chapel Hill, North Carolina, he recently became the first student ever to receive a simultaneous BA/MA in musicology from Yale University (double-major in mathematics), studying harpsichord with Arthur Haas and organ with Thomas Murray.